​Organizations have come a long way in preventing intentional discrimination against women. But how can they also neutralize implicit biases that can sabotage women’s advancement? Why the dramatic change? Many behavioral economists attribute it to a simple design choice: blind auditions.2 In the 1970s and 1980s, orchestras began putting a screen between auditioning musicians and the selection committee, some even going so far as to ask applicants to remove their shoes to eliminate the distinctive sound of a woman’s footwear.3 After intentionally redesigning the environment to remove any knowledge of or reference to gender during the audition process, orchestras suddenly started to hire more women. The lessons from this experiment extend far beyond the world of classical music—with direct applicability to the workplace. First, although progress has been made in combating deliberate gender discrimination at work, some women still face hidden obstacles arising from what psychologists call implicit biases—biases that exist beneath the surface and can affect decision-making without conscious knowledge.4 Second, simple changes in the way a situation is designed—installing a screen, removing shoes—are not only possible to implement in the workplace, but can also have a profound impact in mitigating the effects of implicit bias. Fortunately, design thinking offers organizations a powerful way to recognize and reduce the impact of implicit biases in the workplace. Design thinking’s human-centered problem-solving approach can help leaders understand what facets of their culture and decision-making practices may be driving biased outcomes, and what design changes can be made to counteract implicit biases in play, including those related to gender. With empathy, exploration, and experimentation as its guiding principles, design thinking can enable leaders to understand what bias-driven obstacles their employees may face, informing design solutions that aim to tackle bias, reduce biased outcomes, and empower a diverse workforce for all. Identify. A team works with or alongside a diverse group of key users to draw on exploratory research and identify organizational or situational drivers of gender bias.11 They employ collaborative and creative techniques to understand the unique challenges women may experience in recruitment, retention, and advancement due to implicit bias, identifying key drivers and desired outcomes in these areas. Ideate. In collaboration with key users and other inclusive perspectives, the team brainstorms a range of possible solutions for minimizing and/or counteracting the identified challenges, such as potentially biased policies, programs, or decision processes. A set of solutions is selected for initial prototyping and testing. Test. Solutions are prototyped and tested through pilot programs with inclusive employee feedback and participation. These pilots demonstrate how each solution works or might work to mitigate bias in real-life situations. Evaluate. The team collects feedback from employees to assess if and how the tested solutions are both mitigating bias and enabling other benefits deriving from decreased implicit bias in the workplace. Solutions are iteratively improved or rejected based on this feedback, with the team returning to earlier stages to gather more information, ideate more solutions, or improve previously tested solutions as needed. It is grounded in employee experience. As implicit bias is more often felt through experience rather than explicitly encoded in an organization’s formal policies, the employee perspective can become imperative in understanding if and how implicit bias is occurring. Without developing rich insight into the experiences of women employees, organizations risk misidentifying or misinterpreting problems, or investing in solutions that fail to target the underlying issues. It is guided by information, not preconceptions. Through its emphasis on exploratory and open-minded information-gathering, design thinking bases both its understanding of the problem and its development of potential solutions on insights gained directly from women employees, rather than on preconceptions—or misconceptions—about what women experience, want, and need. This is particularly important in situations where a leadership team may otherwise base its approach on inaccurate—or implicitly biased—notions of how to support women employees. It creates customized, and therefore more effective, solutions. Women are not a monolithic group, and implicit gender bias does not take the same shape across organizations and industries. Thus, the obstacles an organization faces around implicit gender bias call for a solution that is customized to that organization’s particular environment and employees. Design thinking allows for this adaptability by encouraging organizations to put their women employees at the center of the process and tailoring solutions to an organization’s specific resources, capabilities, and work environment. It is iterative and user-validated. Design thinking’s experimental, user-informed approach allows solutions to be tested and evaluated based on real-life results and feedback until the desired outcomes are achieved. Rather than arbitrarily labeling the problem and implementing a blanket solution, design thinking creates purposeful space for trial and error. This is especially important when dealing with implicit biases: as these biases are unconscious in nature, many men and women may not even be fully aware of when and how they manifest. Thus, multiple solutions may need to be tried and tested—with women involved at every step of the process—before an organization finds those that fit its needs. Why should organizations consider including design thinking compared to simply what they’ve always done? Rather than shaping organizational culture from the top down, design thinking redesigns environments from the bottom up, starting with people. Collectively, these assets of design thinking differentiate it from what one might call a more traditional, “management thinking” approach to tackling implicit bias in the workplace. Management thinking typically frames and approaches problems from a leadership perspective, without systematically seeking to understand the experiences of those affected by them. Many traditional management methodologies also take a linear “once and done” approach in developing and implementing a solution, where user input is viewed as simply helpful in the development process rather than integral to it. Finally, management thinking often places greater value on information from the external environment—case studies, benchmarks, or research “imported” from other organizations—than on information from the internal environment, which is often more pertinent and more valuable to questions of gender bias and women’s experiences. As a strategy that actively builds empathy into the process of generating solutions, design thinking can be particularly useful for approaching problems such as implicit bias that have complex personal and social impacts. And it does not just apply to gender bias. Other implicit biases, such as those surrounding race, ethnicity, age, religious affiliation, and ability, can have equally invisible and silent effects in the workplace. The same design thinking principles presented here in a gender context can help organizations build a more empathetic understanding of other diverse populations and find ways to increase parity among all. While applying design thinking to the problem of implicit gender bias is still a novel concept, many companies have employed aspects of design thinking to mitigate when, where, and how unseen obstacles might be creating barriers for women. Here, we examine how elements of design thinking can be and have been used in three key areas of women’s advancement: hiring, retention, and leadership. Leaders at an organization with a low proportion of women employees might think that women do not have an interest in the profession, or that they lack the right combination of skills to be successful in the job. But what if the problem is not interest, skills, or even access to opportunity—but a problem with the hiring process itself? Research shows that certain hiring practices, such as unstructured interviews or gendered job descriptions, can lead to unequal employment of women.12 The inequities that can result from both of these practices suggest that implicit bias—whether on the part of an interviewer, the person writing the job description, or women candidates themselves—can skew behavior and decision-making. Companies suspecting implicit bias in their hiring practices could take a number of cues from design thinking to help distill the issue. They could conduct surveys and interactive focus groups with job candidates to see if women experience the process differently from men or others; create a persona-driven journey map to understand the interview process across employees; or analyze interview and hiring data to determine if meaningful gender differences exist in candidate evaluation and selection. For instance, are recruiters systematically asking men and women different types of questions? Do some women find the process more intimidating or discouraging than men? Answers to these questions could inspire solutions, such as interview scripts, blind resume evaluations, or joint interview evaluations that can be brainstormed, prototyped, and tested with women. Implicit biases in the hiring process are not the only reason that women may be underrepresented. Early exploratory research could find that few women apply to work at a company in the first place, inspiring an approach to find women who turned down an employment offer or expressed not wanting to apply to understand the factors that influenced them. This information could guide the company to make design changes to its hiring environment that aim to increase the number of women applicants, such as using gender-neutral language in job descriptions or increasing the proportion of women employees at recruiting events or interviews. Research has long found evidence of hiring biases against women, where knowledge of gender and gendered perceptions of competence contribute to low female recruitment and hiring rates.13 To tackle this implicit bias, some companies are employing a play on the orchestra’s blind auditions: blind evaluations. GapJumpers, a hiring software platform for employers launched in 2014, works with companies to create a list of skills required for a relevant job and helps to design a targeted task or challenge that applicants for that job complete online. Much like blind auditions, this platform aims to remove hiring and resume evaluation bias by designing a blind intervention in the hiring process—an initial assessment of candidates based solely on performance in a strategically designed test. After reviewing candidate performance and resumes that have been stripped of identifying information such as name, gender, graduation year, college, and address, employers invite candidates for in-person interviews. This intervention allows employers to acknowledge the influence of implicit bias in their interview and hiring selections, and redesign the process to mitigate that impact. Organizations may also assume that simply increasing family leave benefits will help retain female talent. However, user-centered research techniques such as journey mapping or interactive focus groups may unveil other factors in play, such as women feeling discouraged from taking family leave due to concerns or evidence that doing so would put their position and reputation at a disadvantage compared to their male counterparts. Collaborative brainstorming could then identify potential solutions, such as a family support service that encourages both men and women to take family leave, provides guidance and support when they return, or encourages both male and female leaders to model the behavior change by actively taking family leave and talking about it with their teams. Solution ideation may also highlight employees’ desire to promote policies unrelated to family leave, such as core working hours or remote working options that could be extended and promoted to all employees—not just women. Companies in commonly male-dominated sectors such as engineering or technology risk high attrition among women due to a lack of understanding of what drives them away and why. VMware, a cloud computing firm, employed elements of design thinking to address this issue at its own organization. In 2014, the company revamped its strategy by creating opportunities with and for women to reduce barriers to retention. It launched a women’s initiative (now called Women@VMware) to oversee this work, instituted an executive sponsorship program for women to facilitate internal networking, and created peer mentoring circles to foster a shared understanding of barriers that women employees faced. In collaboration with Stanford University, the company also provided unconscious bias training and tested new initiatives with middle managers and other employees through discussion groups to drive participation and engagement. Now, VMware’s chief people officer sends managers and team members an information sheet prior to performance reviews reminding them about ways to minimize biased or gendered feedback in evaluations. If organizational leaders see low female representation among managers or executives, some might attribute this disparity to women’s personal choices—having a child, getting married and relying on their partner’s income, or no longer being motivated to advance. Again, the exploratory stages of design thinking enable organizations to test these assumptions rather than blindly guessing the source of the problem. User-centered research strategies may illuminate that women feel they lack role models in the company at the leadership level, or that there lacks a working mechanism for women to gain the necessary sponsorship in order to advance. Additionally, immersive observation or focus groups with current leaders could show that succession choices are made without an objective process or standards for selection, leaving these decisions open to implicit bias. Collaborative solutions here could include streamlined standards and processes for promotion to leadership positions; a 360-degree review process that engages feedback at various organizational levels; strategies to enhance current women leaders’ visibility; instituting peer networks to help women build community; providing experiential leadership training; or creating a sponsorship program for women to help them gain support from both men and women leaders. Spotlight: Advancing women at Gap Inc.
Start small: Find a circumscribed context (such as a single department or specific issue in the employee experience) to experiment with design thinking and de-biasing. Don’t try to solve all of the organization’s problems at once. Engage diverse perspectives from the start: Even within the same company, women are not a homogeneous group that share the same experiences and opinions. When building a team or soliciting participation, involve women from different levels, backgrounds, and perspectives at each stage. Give people a safe way to share sensitive information: Fear of retaliation may make people hesitant to share their experiences with implicit bias or to identify a negative workplace environment. While the collection of real and transparent feedback is a tall order, organizations can create intimate and secure environments—such as small, informal focus groups or discussions with trusted facilitators—to begin gathering information in a way that makes people feel supported and heard. Collect and monitor gender-disaggregated data: Obtain data on key indicators disaggregated by gender. Metrics to examine can include the proportion of male and female employees at each level and among new hires; employee satisfaction and promotion rates; performance evaluation ratings; attrition rates; and salary and other compensation. Measure the current gap between men and women in these metrics, monitoring how new design solutions affect them. Be transparent with results and communicate change: Communicate to employees the initiatives and progress made in reducing and mitigating implicit gender bias. Spread awareness across the organization about issues related to implicit bias, how they can acknowledge and tackle it, and the efforts the organization is taking to address it. The application of design thinking to the problem of implicit gender bias in the workplace is a novel approach to a deep-seated problem. With its ability to redesign and de-bias environments, design thinking can be a powerful way to unearth and address previously hidden obstacles to women’s recruitment, retention, and advancement, driving the growth of an inclusive workplace culture that supports and empowers all employees. 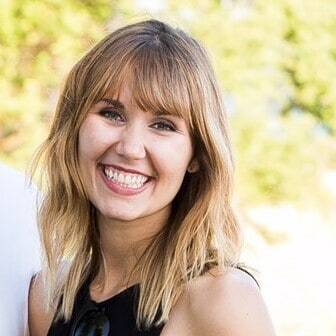 Alexa Frank is a strategy consultant with Deloitte Consulting LLP and a program lead for Deloitte’s Women’s Initiative. She is based in Washington, DC. 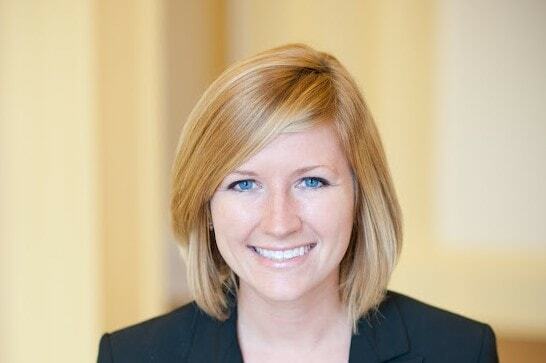 Kelly Connors is a senior consultant with Deloitte Consulting LLP. She is based in Washington, DC. 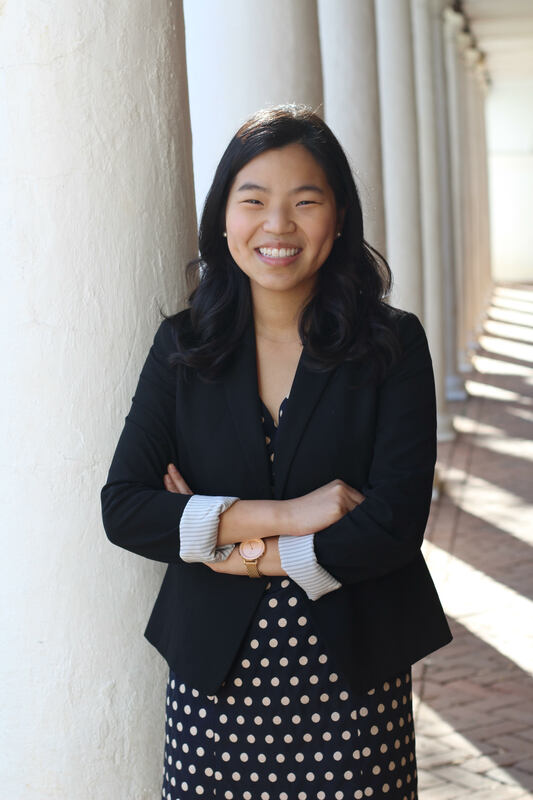 Michelle Cho is a consultant with Deloitte Consulting LLP’s federal practice and a program lead for Deloitte’s Women’s Initiative. She is based in Washington, DC. The authors would like to thank Hannah Kemp for her invaluable original contributions to this paper; Sally D’Amato for her leadership and guidance; and Molly Gibson, Mirna Hussein, and Kwasi Mitchell for their constant support in sharing this insight broadly. Designing equality has been added to your bookmarks. Designing equality has been removed from your bookmarks.